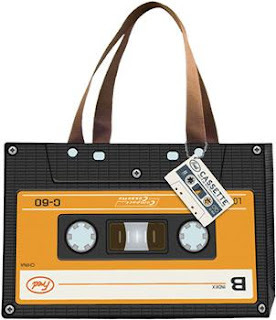 Are retro music stylings your bag? Fancy yourself as an old school audiofile? If so, here's the tote for you! I cannot believe that the humble audio cassette can be considered 'retro' nowadays! I bet aficionados of the 8-track said the same thing back in the 80's! I had tapes when I was younger, they can't be considered retro yet. I'm still too young!!!! !